History of the "Original Yanks"
In the mid 1950's a period of prosperity existed in Northern New York where virtually every Fire Department and American Legion sponsored a field day including a parade. 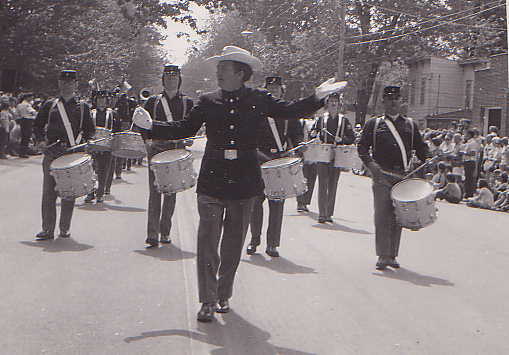 There were many musical groups including school bands, drum & bugle corps and bagpipe units that participated in such parades. Also in this period, many school bands were at decreasing availability due in part to school centralizations. As a result of this, fire departments and American Legions were often left without music to march with. In search of an answer to the disappearance of many bands and a need for music some of our local people decided to explore the possibility of starting a drum corps. 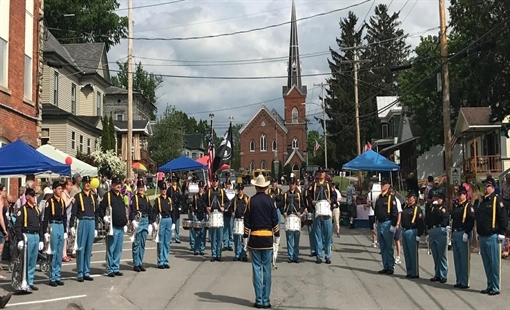 There was a citizen of Antwerp, NY who had been a member of the Carthage Drum & Bugle Corps who was interested in the project. The individual was Don Lalone. Two other individuals who did a lot of leg work and contacts to put the unit together were Alan Feickert and Nile Liscomb who went to local organizations and every merchant in the village in search of donations and funding. The two largest donations came from the Antwerp Fire Department and the Antwerp American Legion Post 916, the post donations being more than double of any other organization. 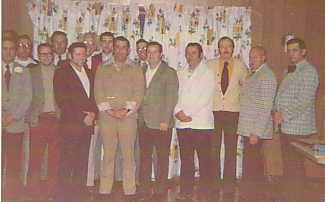 The meeting of the American Legion the night of the proposed Corps sponsorship was a highly debated one and one of the longest in their history, but did result in the commitment to sponsorship. The original bugles were English made one valve "Harke" horns. The corps known as the Antwerp Drum & Bugle Corps at this time was able to purchase them at dealer cost through the generosity and consideration of local jeweler Elmer J. Burtis. Our drums were purchased through Mr. Fred Bastian owner of Schmidt Music in Watertown, NY.